Cycle touring doesn't have to cost a fortune. After picking up a bargain bicycle at a garage sale, Minnesotan Leann sets off with boyfriend Ben on a major cycle tour. Three months into the trip they're still going strong. 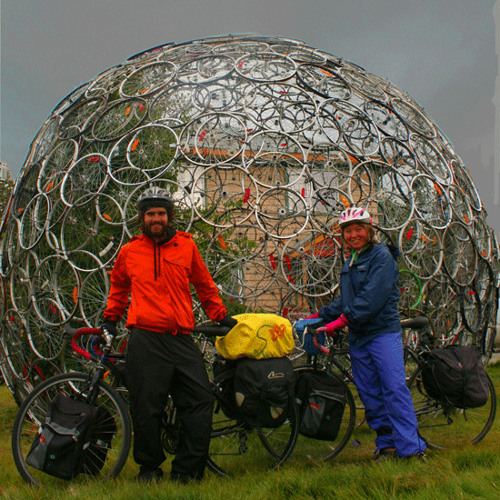 They share insights on biking on the cheap and what it's like to spend 24/7 with your partner plus a hair-raising account of an encounter with a grouchy grizzly bear.